Following the suspicious death of Baroness Audry von Munchen, the fabulous von Munchen relics are being auctioned off. In the absence of a legal heir, the proceeds are to go to her favourite charity – unless a claimant comes forward. What is the truth behind the Baroness’ death? Following the suspicious death of Baroness Audry von Munchen, the fabulous von Munchen relics are being auctioned off. In the absence of a legal heir, the proceeds are to go to her favourite charity – unless a claimant comes forward. What is the truth behind the Baroness’ death? Who will buy the von Munchen relics? The Auction typically runs for two to four hours. It is often played over a meal – finger food allows guests to circulate and talk in private. 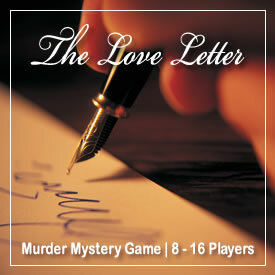 The game contains a list of all the guests, invitations to send out to your guests, a copy of “Yesterday’s News,” the antique dealer’s magazine – plus details of how to play. The Auction lets you decide how to solve the mystery and achieve your objectives. You will choose who to talk to, and what to ask. On the evening, the guests are met by the organiser, Freddie Farr, the solicitor acting for the late Baroness. 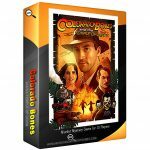 They then receive their detailed backgrounds – including dark secrets, objectives and money. When everyone has arrived the Baroness’ will is read out. The fun then begins as everyone questions, bribes and blackmails each other. 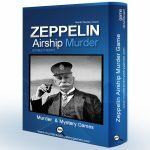 Everyone is trying to find out who murdered the Baroness, but they also have other objectives – and they decide how achieve them! This is followed by the auction itself, when everyone competes against each other in a flurry of bidding. Finally, everyone has the chance to make their accusations of who killed the Baroness before Inspector Clu d’Eau reveals all. Lord, Lady, butler, priest and even a spy – characters of all sorts are drawn to The Auction. The game can be played in a number of variations ranging from 12 to 40 players. 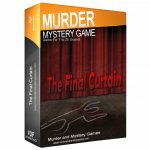 The story and characters in this Murder Mystery are fictitious. Any resemblance to any person living or dead is purely coincidental. 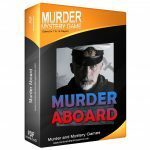 This game is sold by our good friends at Murder Mystery Games (.net). From $61.00 | Buy Game Now. 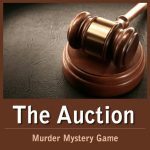 Be the first to review “The Auction” Click here to cancel reply.